Hello, and welcome back to our blog here at Houser Roofing. If you remember from last time, we talked about several things that you absolutely must know about the roof of your new home. If you’ve owned a home before, you probably know what it’s like to care for a roof, and you probably thoroughly inspected the home’s roof during the walkthrough process. However, if you’re new to home ownership, you may not understand the importance of inspecting your roof regularly and hiring a dependable roof contractor to service it. You should start to understand the roof care procedure now, rather than later, in order to avoid costly repairs later on. 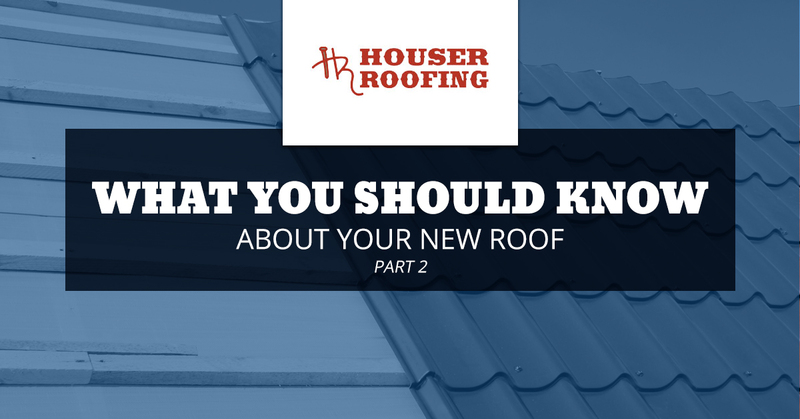 In this blog, we’re going to talk about several things that you should know about your new home’s roof. If you’re ready to contact a roofing contractor, don’t hesitate to give us a call at Houser Roofing in Richmond, Texas. Our team of Top Rated Local® Roofing Contractors are trained to provide you with the most high-quality care in the industry. We offer metal and shingle installation, storm damage and emergency repairs, gutter installation and repair, and siding installation. So, you’ve made it to your new home. Congratulations! If you’re like most homeowners, you probably don’t like everything about your home. Since you had to find something that was in your price range, in the area you liked and had to compete with other home buyers, you probably didn’t check everything off your first home wishlist. The great news is, you have the opportunity to renovate as you see fit and there’s no exception when it comes to your roof. 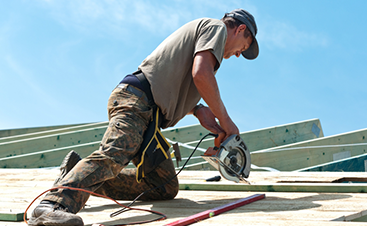 There are a lot of options out there and each of them has different benefits, so it’s important to speak with a roofing contractor before you make any decisions. Metal roofing is one of the highest-quality home roofing options that we offer here at Houser Roofing. Metal roofs are both durable and environmentally friendly. These are a great option for a homeowner who wants a roof that will last for years to come. 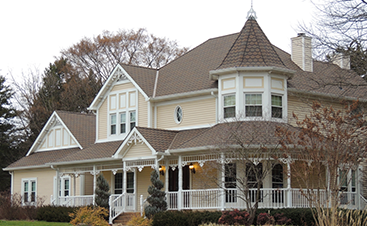 When you think of a typical roofing material, shingle probably comes to mind. Shingles are made of asphalt and are one of our most popular roofing types. They range in color and style and are durable, economical and fit any roofing budget. Another great benefit to shingle roofing is that it takes only one day to complete the installation, from start to finish. This is great if you moved into a home with a roof that you don’t like. Houser Roofing will be able to get in and get out quickly, leaving you with a roof that not only looks great but performs well. One of the biggest questions you likely have right now is, “should I replace my roof or repair it?” Although you’re free to do either, you’ll be spending a lot of unnecessary money if you’re replacing a roof that is in a great working condition. However, there is an alternative option if you have shingles on your home already. New shingles can be laid over the top of old shingles, assuming there’s only one layer already on there. This will allow you to have the same durability as a single layer of shingles, spend less on service costs for having to take off the old shingles, and you’ll have a great looking new roof that suits your own wants a bit better. If you’re thinking of either repairing or replacing your roof, you should first get an expert opinion from a roofing specialist. At Houser Roofing, we offer free inspections, consultation, and estimates. This way, you’ll never have to worry about whether you’re making the right decision for your home. 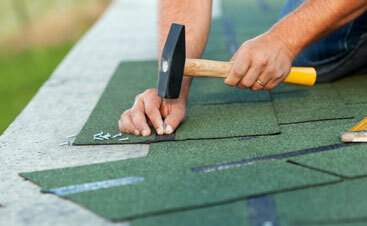 Repairing your roof can be as simple as replacing a single shingle to fixing a leak underneath the shingles. A roofing expert will also be able to repair broken drains or vents and perform regular inspections to see if there’s anything that needs to be fixed up. If your roof is over 20 years old, is using outdated materials, has seen a significant amount of damage or there are signs of water damage, you may want to consider replacing your roof entirely. It’ll be a little bit more costly, but you’ll have a great roof that will last another 20 years. Are you ready for a free roof inspection, consultation, and estimate? Houser roofing is here for you every step of the way and we won’t stop working until your roof looks and functions exactly how you want it to be. We are your Top Rated Local® Roofing Contractors in South Texas including Richmond and have an A+ rating with the Better Business Bureau. If you have any questions for us, don’t hesitate to call us.